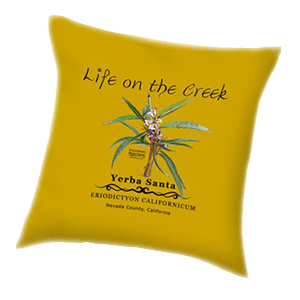 Yerba santa – Eriodictyon californicum – is native to California and Oregon. Native people are thought to have educated the early missionaries about plant uses. This sun-loving plant generally grows on east or south-facing slopes. It can be found near Douglas-fir, Madrone, Ponderosa Pine, Jeffry pine, Black, Blue, and Canyon live oaks. After two years, the plant produces rhizomes, a shallow underground stem system that helps it spread. Yerba santa produces hardy seeds. They can lay dormant for ten years or more, waiting for a fire or ground disturbance to germinate. Glutinous resins produced by the leaves make them shiny. The resins are flammable. 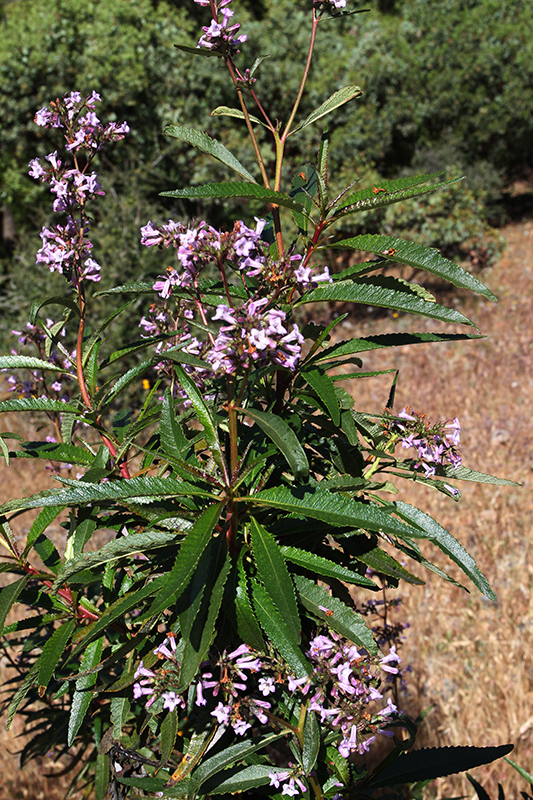 Black-tailed deer will eat Yerba Santa leaves early in the growth cycle when the resins are sweet. Seed capsules are consumed by small animals and birds. Honey made from Yerba Santa flowers has an amber color and a spicy flavor. 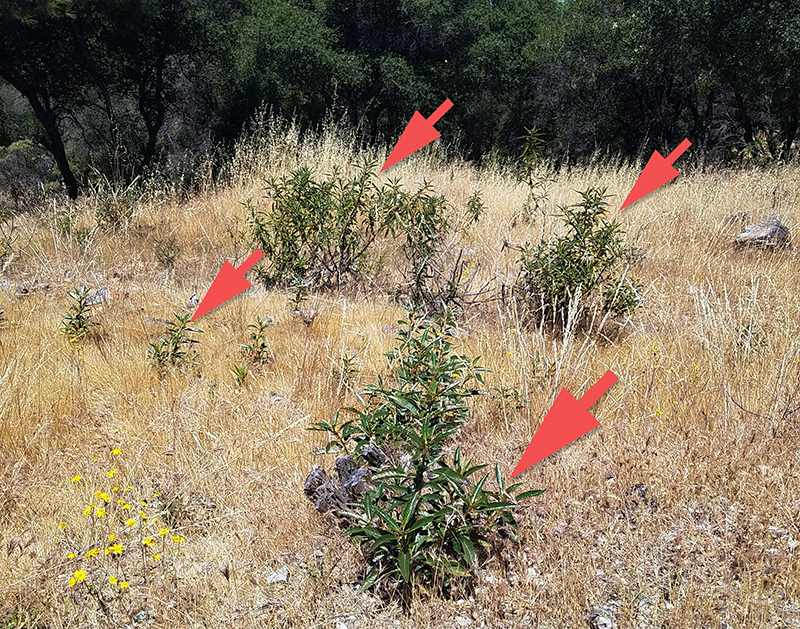 Yerba Santa’s shallow root and rhizomes control and stabilize soil erosion. 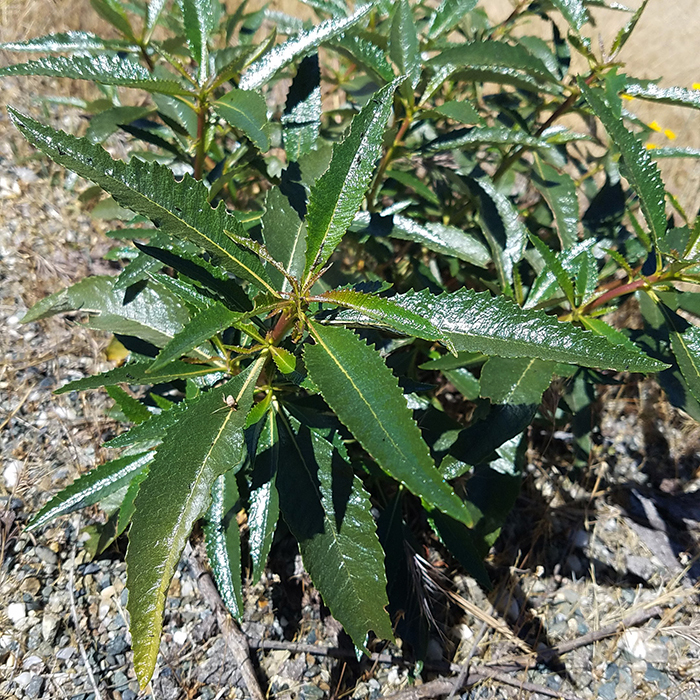 Commonly called consumptive’s weed, Yerba santa branches and leaves were historically burned in steam baths to relive tuberculosis symptoms. Leaf compounds, included in cough medicines, dilate bronchial tubes and function as an expectorant – an agent that brings up and expels phlegm. Leaves can be used fresh or dried in tea. Fresh leaves can be applied to the skin (they stick). They can be rolled into balls and sun-dried. Chewing them (bitter at first, then sweet) is a natural mouthwash. Mashed leaves can be spread over cuts, sores, and to relieve aching muscles. Harvest light green, new-growth leaves from early to late summer. Only take a few from each plant, leaving the root systems intact.